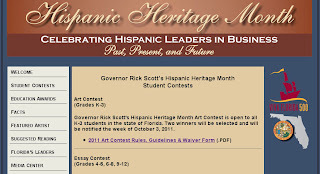 Hispanic Heritage Month starts next week! Are you excited? Does your familia have big plans to celebrate? We're working on a few things here that I hope to share with you soon. 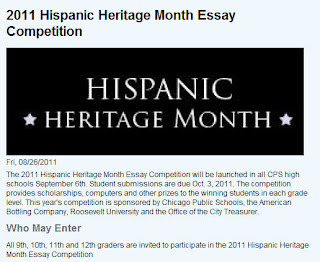 In the mean time, if you are looking for something to do in honor of HHM, check out these art and writing contests. 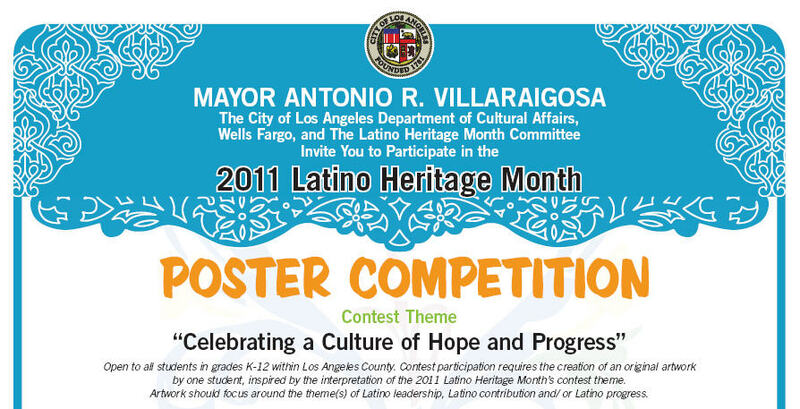 LA students in K-12 can enter the Poster Competition. 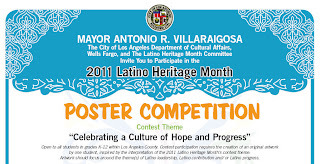 Contest theme: "Celebrating a Culture of Hope and Progress." Deadline: Sept 16th. 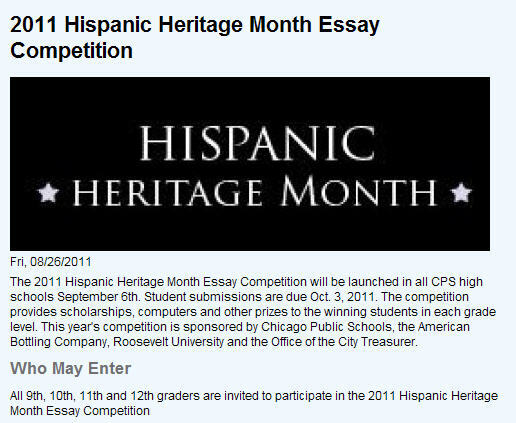 Chicago Public Schools is hosting an essay contest for students in 9th- 12th grades. Topic: Carlos Santana, contemporary Mexican American rock, salsa, and jazz fusion guitarist, once said, "The most valuable possession you can own is an open heart. The most powerful weapon you can be is an instrument of peace." Describe a person of Hispanic descent who, in your opinion, most exemplifies these words. Deadline: October 3rd. 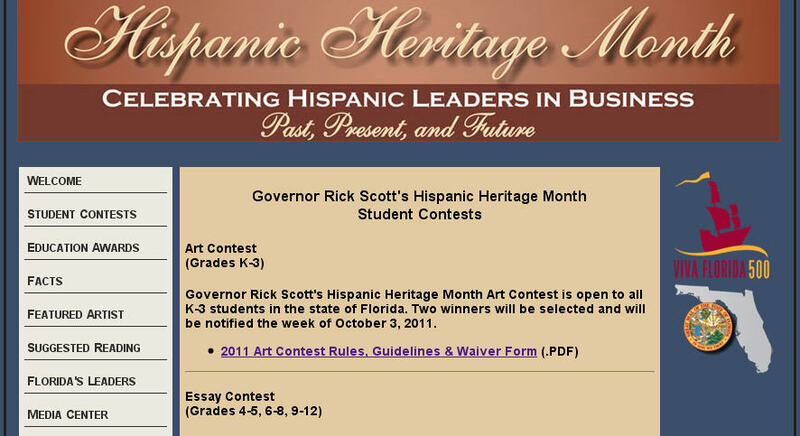 And here are two art and writing contests open to students in Florida. Deadline: Sept 23rd.